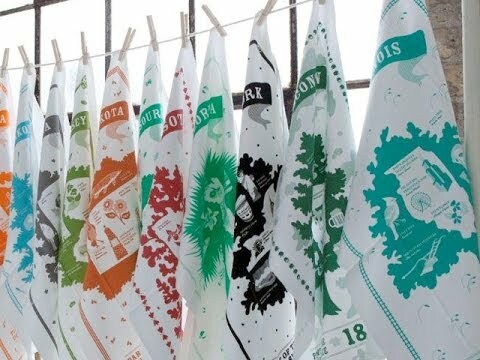 The city snow globe towel collection fuses two time-honored souvenir traditions of the snow globe and the tea towel into one unique keepsake. Featuring well-known tourist destinations and city neighborhoods, these towels are colorful and fun mementos of a past trip or future destination. My daughter spent her college years in MN and saw many of the places depicted on the towel. I am hoping she will like it as much as I do. The graphics are well done and it is a very generous size. Since it is a holiday gift it has not yet been washed. I am hoping the graphics launder well for years to come. 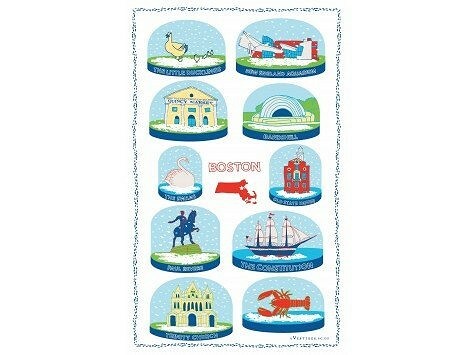 To acquaint or remind people of Boston, this design offers a clever way to highlight objects significant to Boston. A bonus is a quality towel.